No one else sounds like Vieux Farka Touré, and Vieux never sounds like anyone else. 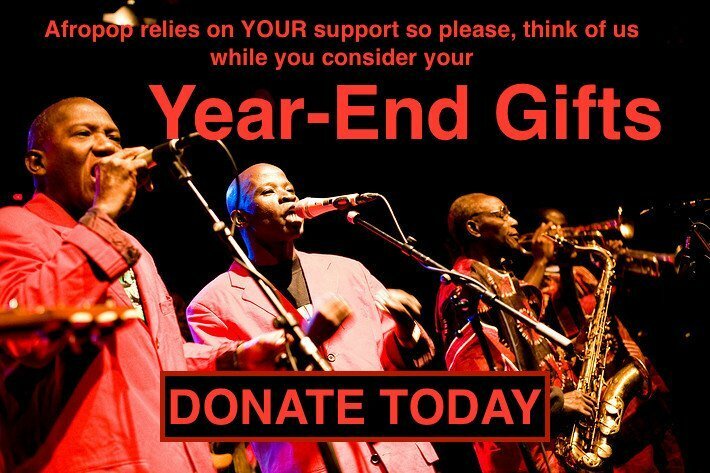 His latest album, Samba, was recorded live in Woodstock, NY, to capture the energy the Malian guitar virtuoso exudes on stage. The results are a snapshot of Vieux sending melody spiraling out in all directions, with his distinctive guitar tone and his often-overlooked voice. 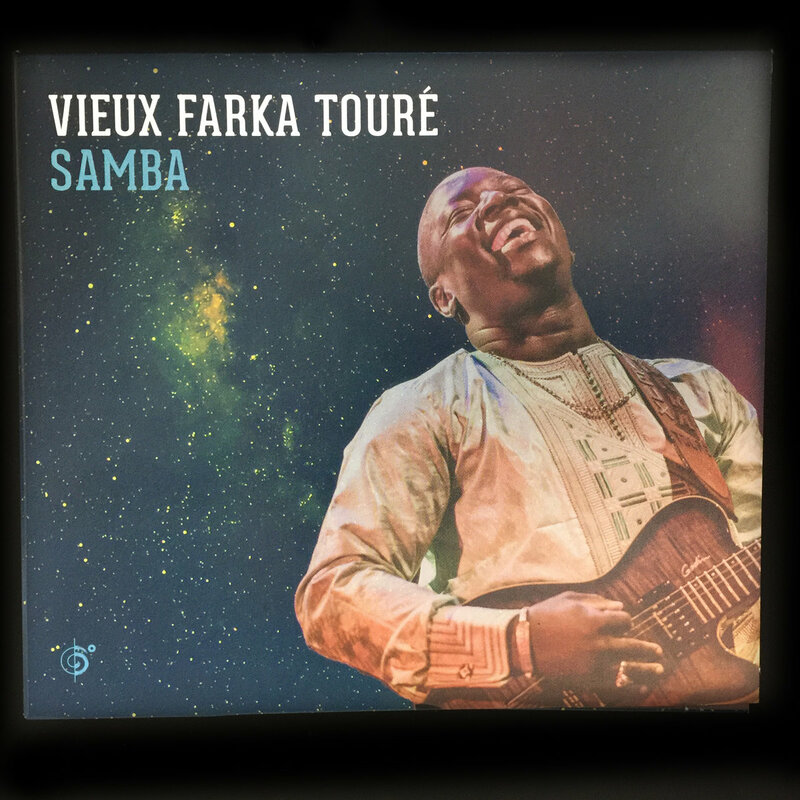 Vieux Farka Touré is the son of the legendary Malian guitarist Ali Farka Touré, and he's on his way to becoming a legend of his own. He releases an album seemingly every odd-numbered year and works with a wide range of collaborators. But no matter who he's working with—be it kora legend Toumani Diabate or up-and-coming American indie musician Julia Easterlin—Vieux brings his distinct guitar tone and playing style that people call “desert blues,” for lack of any pre-existing genre that could contain him. And Samba demonstrates that shape-shifting range. Though he's playing only with a trio and sometimes a quartet, Vieux manages to stylistically shift from hypnotic Tuareg jams to the reggae upbeats of “Ouaga.” The album opens with the instrumental “Bonheur,” where Vieux's guitar and the kora toss the melody back and forth over an open, droning bass note. As his father noted, Malian music is a close relative of the American blues, and fans of one should have no trouble getting into the other. One thing Vieux never attempts, though, is samba. The name of the album, turns out, has nothing to do with that style of Brazilian music. Vieux explained how the slow-burning, eight-minute centerpiece, “Samba Si Kairi,” is named for a song his father and grandfather would sing while he played the calabash. In his interview with Afropop, Vieux expressed sorrow at the state of Mali, divided by poverty, religious extremists, and deep-seated cultural reasons. “As a Malian musician, all I can tell people is to stay calm,” he said. This sentiment comes through and Samba is a perhaps a melancholic sounding album, but it's never a dirge. Under the calm is the unmistakable roiling and powerful artistry of the one and only Vieux Farka Touré. More on the new album here.